Orrell Rugby Club are heading in the right direction and it can only ‘get better’ according to head coach Paul Wingfield. Orrell finished sixth in South Lancs and Cheshire Division Two last year, but it is the vision of the club which is pleasing Wingfield. Following the turn of the millennium, the Greater Manchester side have fallen from the top tier of the game to level seven, but since joining Orrell in January, Wingfield believes the club are progressing and are back on the right path. “It was all pretty flat when I arrived last year,” said Wingfield. “But, if you look at our numbers at training, Twitter, Facebook, LinkedIn and website now, we are really starting to motor and our communications manager Tracy Mockton, Commercial Manager Dave Hewlett and the entire Orrell RUFC coaching and playing staff should be proud of themselves. “A lot of people were quite sad to see Orrell fall from the big leagues. We had no ground, no sponsors and no junior section. It has been an uphill struggle, but we are now starting a new journey, working in conjunction with Winstanley Cricket Club on a joint venture that will provide much needed community playing and club house facilities. “I want to increase the junior and colts’ numbers so that we have players coming through to the first team over the next few years. Currently, we have the right people in place and it can only get better. Orrell are aiming to progress out of South Lancs and Cheshire Division Two after making positive strides in the second half of the 2017/18 season under Wingfield. While Orrell got off to a good start last term, they then went through a dip in form, but following Wingfield’s arrival, they won eight of their final 11 matches to end the campaign on a high. “The training numbers were quite low and everything needed a bit of a shake-up,” said Wingfield. “We injected a little bit of fun into training and how we play and we started to throw the ball around. The lads enjoyed it and really bought into it. Now, Wingfield is keen for his side to continue their positive momentum. Orrell are one of many grassroots clubs in the country who are always looking to improve so the recent decision by the RFU to hit the community game with redundancies will certainly have affected teams. Having worked in the amateur game for a while, Wingfield knows how beneficial volunteers and community coaches are to this level of the game. He added: “I think it is a shame really that the RFU are making all of these redundancies”. 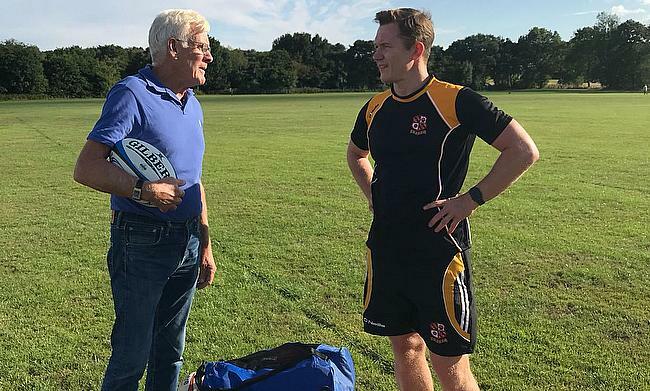 “Parents that coach and get involved with the minis and juniors are the lifeblood of the community game and they need help from community coaches. The community coaches that go into schools and clubs and coach kids are developing the players of the future”. “They need good quality training and advice. So, for whatever reason the RFU have cut people’s jobs at grassroots level and I am sure there is justification behind it, it’s a real shame and only time will tell with regards to how it will effect grassroots rugby long term”. As for Orrell, they will be hoping to climb the English rugby pyramid this season as they prepare for another campaign in South Lancs and Cheshire Division Two. The club has recruited players such as Jack Granby (England North Counties U20’s) and Jack Johnston (Lancashire U20s} while 21-year-old Dan Huxley has been named club captain for the season. Wingfield admits he does have a young squad at his disposal, but he is excited by the prospect of challenging for promotion with his vibrant team. “We have a young crop of local lads,” said Wingfield. “A lot of their Dads, uncles and cousins have played for Orrell in their heyday, so there is a real tie in with our players. A lot of them are Orrell through and through. “We went about our recruitment early doors in pre-season and we tried to target young players who can come and develop with us over the next two or three years. If we get the off-field decisions right, these young players will be developing at the right time for the opening of our new ground and feel as though they have been part of the journey”. In terms of Orrell’s ambitions this season, Wingfield continued: “If you start the season by saying we will be happy to finish midtable or top four, then I don’t think you are really giving the signs to the players that you mean business. “We all sat down and we all agreed that our main priority this year is to get promoted. We want to win every game and we want to get out of this league”. “Everyone is quite happy with that train of thought and we are quite happy to play a good brand of rugby”.